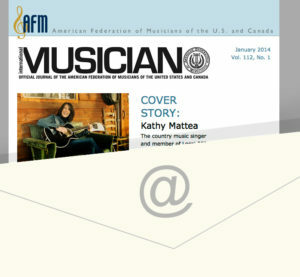 The IM Highlights email is delivered to readers inboxes at the beginning of the month to announce the contents of the latest International Musician. 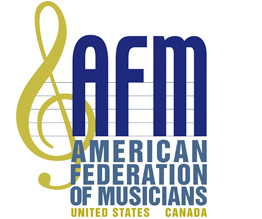 AFM members from across the US and Canada have actively signed up to receive this email, along with additional information and news from the AFM. By adding International Musician to your electronic media outlets, your ad will be delivered to more than 40,000 active and engaged musicians, representing all instruments and all genres of music. 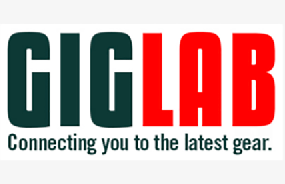 Reach our readers by advertising in the IM Highlights email blast with highlighted text E-links or one of 3 banner advertisement sizes: top banner, vertical banner, and large button. For even more impact, create a dedicated e-blast of your own and we will send it for you to our readers. File Formats: GIF or JPEG files only. Animated GIF’s OK.
4 days prior to mail date. Include URL link with artwork. Send materials to: Advertising Manager Karen Godgart, kgodgart@afm.org; 315-422-0900 x 101. Add a phone number if you would like to hear from our sales department. Please note: All advertisements are subject to acceptance by the publisher. The publisher will not accept advertisements that are illegal, defamatory, or an infringement on a third party’s rights. The publisher has the right to refuse or edit any ad copy deemed inappropriate or offensive.